The Polymer MOLECULE SYNTH Set is a nine-piece modular synthesizer, which includes everything in the ISOMER SET plus the MIDI-Input hex. It also ships with “Owner’s Guide & Molecular Sound Lab Manual,” a packet of Sugru, and a box of awesome! Available in CLEAR and COLOR acrylic casing. WHAT IS THE MOLECULE SYNTH? The MOLECULE SYNTH is a unique musical instrument. It is like a traditional keyboard synthesizer that has been broken into its elements: speaker/amp, sound generator, and pitch control. With the MOLECULE SYNTH SET you decide how to put those elements back together using simple, color-coded, interchangeable hexagons. 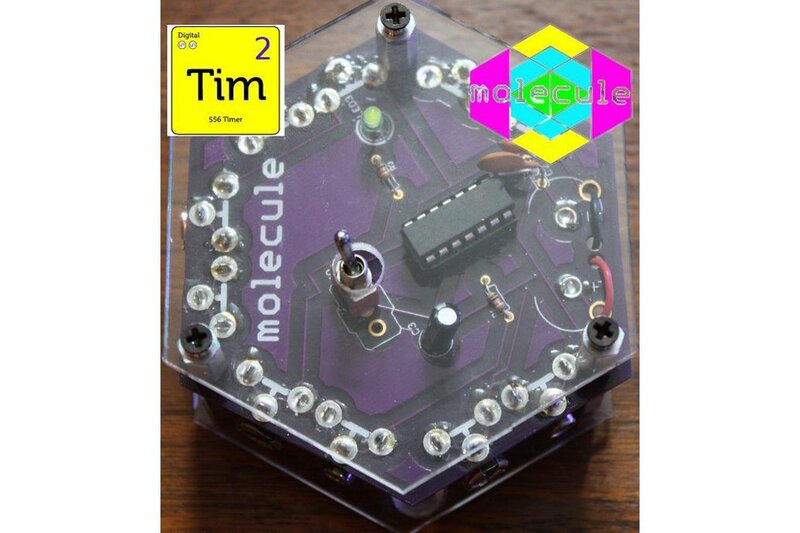 The MOLECULE SYNTH combines LEGO-like interchangeability with Synthesizers with Physical Electronics. I was inspired to create the MOLECULE SYNTH by experiences circuit bending toys and building my own electronic instruments, and I wanted to make something with sounds that were more wild and less predictable than what comes from traditional keyboards. I wanted an instrument that was more interesting than just pushing buttons, but I also wanted to get away from the “black box” pre-fab technologies that makes us all passive “consumers” using someone else’s designs. 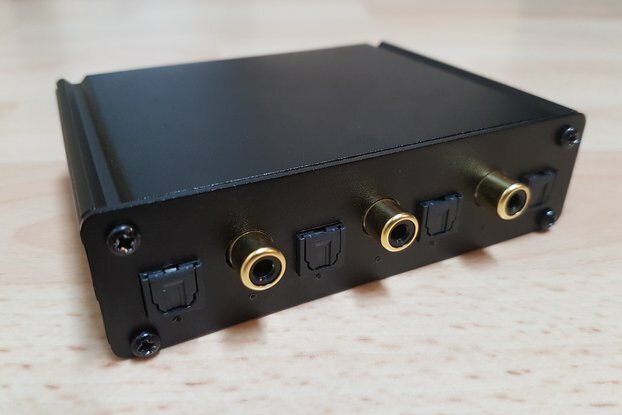 So I made the MOLECULE SYNTH to be an open ended, hardware-based, stand-alone musical instrument that is easy to hack & modify, that is DIY to the core, that totally rocks, sounds amazing, and is guaranteed super fun to play! The MOLECULE SYNTH has the pitch-accurate musical capabilities of any old random store-bought keyboard, but with the MOLECULE SYNTH, you can see and change the way that the instrument works. You can plug in a MIDI keyboard to control the MOLECULE SYNTH, or you can use the physical controllers for more experimental sounds. The MOLECULE SYNTH is like a building block set for creating your own musical device. You move the interchangeable components around and adjust controllers to create a variety of fun combinations. It’s an experimenter’s design set, which means you choose how the instrument is configured, and you can experiment with it fearlessly because you can’t hurt anything or yourself trying new combinations, and the hexes can moved again and again. It’s easy! 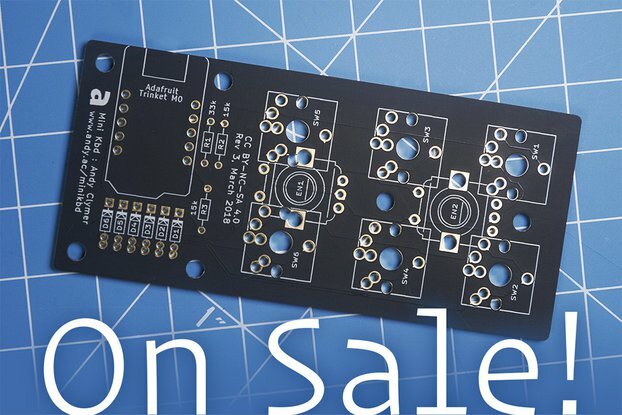 The MOLECULE SYNTH ships with a complete set of directions and tips for use, but practically ANYONE can figure out what to do without reading anything since all the pieces have colors and arrows silk-screened on top making it simple and intuitive.